SWIFT provides a framework for customer security controls and enables global financial institutions to exchange sensitive financial transaction information. 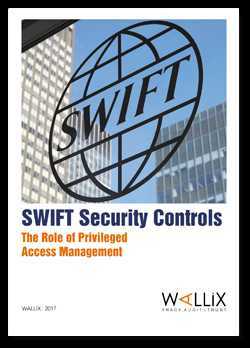 Realizing the SWIFT framework’s goals involves devising controls that cover issues of physical security, credentials and user identities. Privileged Access Management (PAM), which governs access to administrative back ends, is critical to the success of the entire framework. This eBook describes how PAM makes the framework’s implementation possible.